Bridge City Duct Cleaning is a locally owned furnace and duct cleaning company that services Saskatoon and surrounding area. We are a Trusted Saskatoon Furnace and Duct Cleaning company. 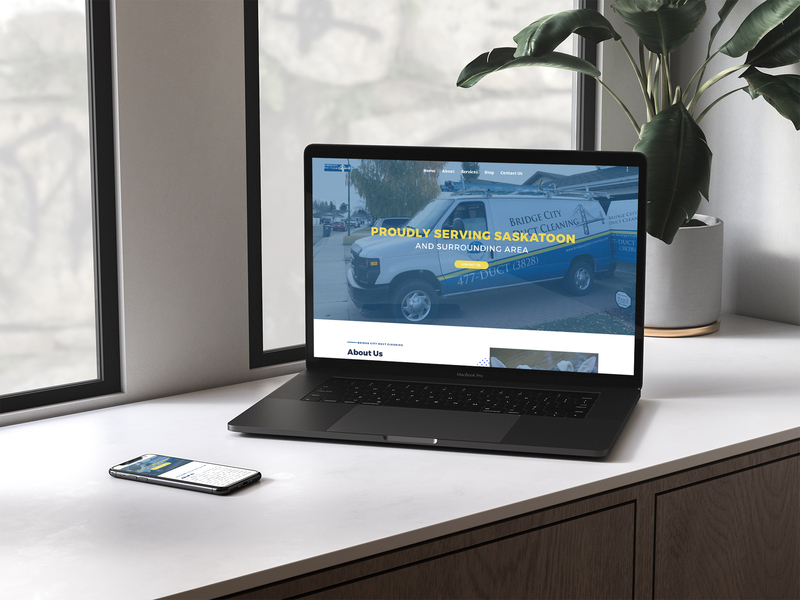 We provide residential and commercial furnace and duct cleaning, dryer vent cleaning, air conditioner coil cleaning, and more – we are the best choice for all your Saskatoon HVAC cleaning needs. Ensure the cleanest, safest indoor environment for your family, pets or business with a Saskatoon company you can trust. Duct cleaning is an important part of regular maintenance that can help save you money in energy bills. Removing the buildup of dust from cooling system coils will reduce energy usage by up to 21% and prolonge the life expectancy of your heating and cooling system. Removing contaminants which can include, pollen, mold, rodent droppings, and even pet dander from your ducts helps to achieve better indoor air quality which can help to minimize reactions from allergies and asthma. Removing the dust and dirt that is hidden in your ductwork will help minimize household dust and debris, helping to keep your house cleaner. Removing indoor air contaminants in your home or office will also remove the distinct smells of mold, mildew, and dust. Our equipment is powerful and non invasive, meaning we don't have to lug a bunch of large hoses through your home to get the job done right. Bridge City Duct Cleaning has experience doing the duct cleaning for some of Saskatoon's biggest commercial spaces. We are professional, knowledgeable, and efficient. We clean more than just the duct work in your home or office space. As your air quality specialists, we clean humidifiers, dryer vents, and even do air conditioning coil cleaning. 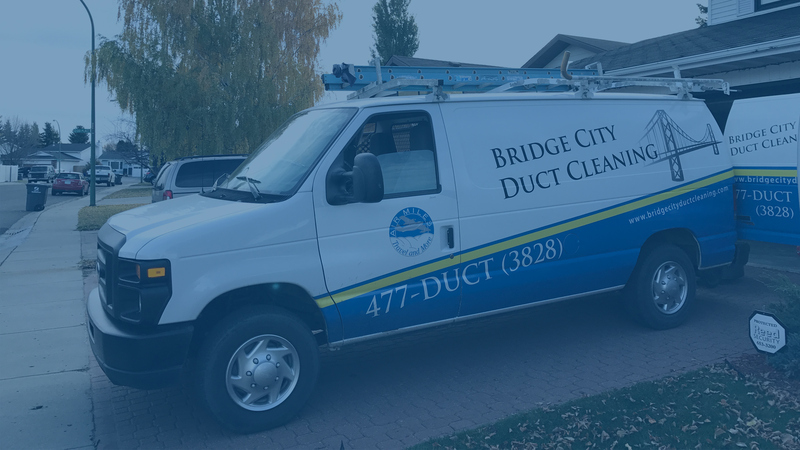 At Bridge City Duct Cleaning we provide residential and commercial duct cleaning and furnace maintenance services for Saskatoon and surrounding areas. We use the newest equipment and technology, and our professional and expertly-trained staff provide our customers with a cleaner and healthier indoor environment, along with the best possible service. 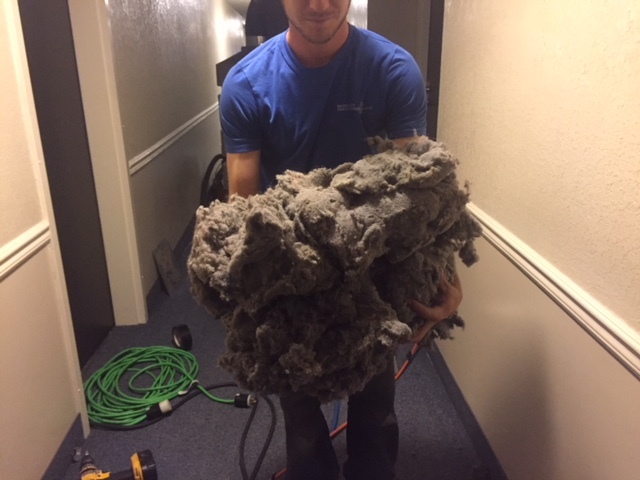 Bridge City Duct Cleaning technicians specialize in air duct cleaning and sanitizing, furnace cleaning, air conditioner coil cleaning, and dryer vent cleaning. With our high-resolution video inspection cameras, we can verify from the vent to the main trunk line so you know for sure it’s clean all the way through. We are the first in Saskatchewan to use a state of the art, powerful, portable, vacuum system that only needs a few feet of hose to hook up – so there is no intrusive hose system running outside. Call us today at (306) 477-DUCT to book your duct cleaning and breathe a little easier. Bridge City Duct Cleaning are your Trusted Saskatoon Furnace and Duct Cleaning professionals.  Read client reviews and more by clicking here on our Trusted Saskatoon listing in the Air Conditioning & Furnace Category. Read what the Trusted Saskatoon team had to say about Bridge City Duct Cleaning in this article they wrote about us. Very impressed with Bridge City Duct Cleaning! They explained the importance of dryer vent cleaning and cleaning your furnace and ducts regularly and did an amazing job. Friendly and helpful staff! I would definitely recommend them! Excellent, reliable and professional service. We are very impressed with the job they did and their knowledge and suggestions. We can feel the difference after just 24 hours. Would highly recommend. Such great service! I would definitely recommend making a duct cleaning and a dryer vent cleaning a part of your household maintenance. I know I will!!! Everything just seems to run more efficiently! Trusted Saskatoon Furnace and Duct Cleaning Professionals! Trusted Saskatoon Furnace and duct cleaning professionals! The team at Bridge City know how to do it right the first time AND with a smile! Bridge City Duct Cleaning are fantastic... they honestly care about their customers and providing nothing but the best in service. I would recommend them to anyone, anytime. Give them a try, you will be glad you did . Thorough, professional and clean. So very happy our door was not left open with a hose dragged through the house. I like the self contained SUPER vac. We were very happy with the service provided by the Bridge City Duct Cleaning team. The technicians were very thorough and knowledgeable. They were respectful of our home and explained the process as they worked. After completion, there was a noticeable decrease in the amount of dust in our home environment, a definite air quality improvement and general freshness. I would highly recommend this motivated team to anyone looking for a great duct cleaning service provider.